One of these days, it is my sincerest hope to compile a list of all the passages in the Siri Guru Granth Sahib that discuss the importance of the Amrit Veyla. As we meditate upon Your Greatness. But over the years, when reading in our community’s Akand Path or when taking hukams from the Guru, I have found other references to the Amrit Veyla by Guru Ram Das, Guru Arjan and Guru Teg Bahadur. Even though I did not take the time to record what they said exactly, the consensus is clear. 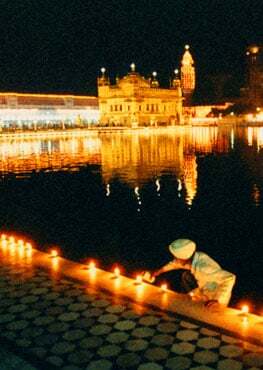 If you want to experience all that the Guru has to offer, get yourself up before the sun and meditate. For myself, I do not get up as early as some, and on occasion, I admit, I miss days. But it is the greatest privilege in my life that I do have the habit for the last 20-some years to meditate in the Amrit Veyla. And what has that habit given me? Have I touched the Divine? Yes. Do I have conversations with the etheric energies? Yes. Have I increased the length of my meditations, improved my pronunciation of Gurbani and learned how to practice certain yoga kriyas? Yes. Has my intuition been able to sense things that were about to unfold in my life? Certainly. But are those the most important gifts that my sadhana has given me? Yes and no. Those are really wonderful experiences. And developing one’s intuition through sadhana is especially important. Yet, in some ways, these experiences are the Divine’s PR campaign to keep you coming back for more. When you meditate in the Amrit Veyla, these lovely spiritual moments make you feel good about what you are doing. They make you feel good about yourself. But that is not the power of sadhana. The power of sadhana, ultimately, is something much more gritty; much more earthy and real. It is the power of being able to make conscious choices. All of us are raised and imprinted with habits and ideas from our childhood surroundings. Some of the habits and beliefs that we absorb serve our highest destiny. Some of them do not. When the habits and beliefs do not serve us, they actually cause us to harm ourselves and other people. The Siri Singh Sahib, Yogi Bhajan, used to say that meditation causes all the crap in the subconscious mind to start floating to the surface: the darkest thoughts, the most perverse fantasies. They are sitting there in the subconscious, blocking us from experiencing our own soul. Sadhana works best when we let all of that dirt come up. And then allow the sound of the chanting to wash it away. Sadhana reveals us to ourselves. It shows us the best of who we are along with the worst of who we are. It helps us see the habits that serve us and the habits that condemn us. Most importantly, sadhana gives us a chance, if we have the courage, to take responsibility for all of that garbage, to roll up our sleeves and do the work of clearing it out. When we do the hard work of clearing out the subconscious mind during the Amrit Veyla, it develops an awareness in us that lasts throughout the day. And because of that awareness, we have a chance in time and space to make different choices. Rather than automatically acting on the imprinted habits and beliefs that do not serve us, there is a small space, a tiny moment, where we can consciously choose to do something different; something that will neither harm ourselves nor harm others; something that represents our pure self rather than our wounded self. These tiny, tiny moments of choice, slowly, over time, give us the ability to create new habits that align with our soul and our purity. This is what it means for our destiny to be rewritten on our forehead, through the Guru’s grace. I see this in my own life all the time. When I was practicing yoga in my 20’s, sadhana gave me an awareness of my liver and how much it did not appreciate the alcohol that I would drink on a Friday or Saturday night. So I started to make the choice to stop drinking. When I was in my 30’s, sadhana gave me an awareness of communication patterns that did not serve my interpersonal relationships. Over time, through careful attention and practice, those communication patterns began to change. 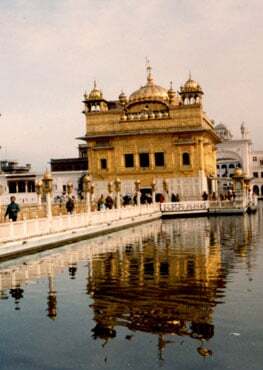 Now that I am in my 40’s, and half-way through the journey of life, I am beginning to understand the importance of flowing with hukam, i.e., of not having any personal agendas or plans, but letting the Divine Plan be the most important thing. And my choices are changing again. This, to me, is the greatest gift my sadhana has given me. Not the spiritual bells and whistles that I experience when meditating in the Amrit Veyla. But the awareness that allows me to make new and different choices during the day, change negative patterns and discover new horizons in my world.Sadhana gives me the altitude I need to make choices that can lead to more peace, more harmony and more happiness. It’s hard work, and it is a practice for one’s entire life. But it is also hard work to make mistakes and suffer. So, in the end, it is just a question of which type of work a person decides to do. Last but not least, there is one thing that I swear by– any sadhana is a good sadhana. Better to do something than nothing at all. May you be blessed to meditate and to find your True Self under all the garbage in your own mind.